When we hold judgment, criticism and shame for our past transgressions or "failures" we set ourselves up to come from an "I don't deserve this" place. Here are 7 steps to self-forgiveness. Get out your journal and get to it, to open the doors and create the life you deeply desire. 2. Now take time to explore all the feelings, complications and implications that you are struggling with regarding the situation. This is a time to let go of the facts and take inventory of how this experience has impacted you, limited your life, and caused judgments andcriticisms about yourself, others, and even the world. 3. Ask yourself - what do I need to do or say to let this remain in the past? Is there an apology you need to make? Is there a letter you need to write a conversation you need to have? Amends that you want to extend? Now do it. 4. Be clear on what you learned about yourself, life, and humanity through this experience. State that clearly and make a decision that you have grown beyond the past experience, and have changed. 5. Begin the process of letting go. Send yourself love and compassion for what happened, agreeing that you learned something valuable and that your soul has grown. Do this repeatedly anytime it comes up within or around you. 6. Hold yourself accountable to living from this more evolved and wise place by embodying and living your wisdom in whatever way you feel is right for you. 7. Share your truth with a trusted other in complete safety. Be sure to choose wisely so this step doesn’t send you back and continues to move you forward. Share your comments, questions or confusion in the comments below! I'm here to support your journey into self-forgiveness. Have you ever learned something about yourself that felt soul-shifting? And once you learned that thing it cleared the way for so much goodness? Welp, that happened to me this past month - hard and fast. ...and accepting it for what it is without resisting or trying to change it. When you’re able to take a step back and become a witness to your life it’s totally groundbreaking. My goal for this program is to shed my fear of judgement and I’m already well on my way after learning this practice. As I was learning and working my way through the journaling questions for this practice it became clear that I’ve been judging myself all along - it hit me like a freight train. For doing too much, for not doing enough, not being productive enough, wanting to do this or that differently, wishing for more of this, wanting more of that. As women we are always judging ourselves, our bodies, our friends, our lives, every little facet of it and when I was able to step back and see that my fear of judgement came from how I’ve been talking to and treating myself...whoa, that was big. After I uncovered this, I was able to consciously try to move past it towards what I truly desire which is more authenticity and vulnerability, allowing myself to be seen in all my beauty and imperfections by others. Whenever I felt myself resisting or assessing how things were in a good or bad way I would stop and simply accept them as the reality of what’s happening in my life. That’s all. No judging, no resisting, just being. I found that after I started doing this I had more energy and more clarity about my direction and how I wanted to spend my time. I’m able to arrive in each moment more fully and see the abundance that I already experience in my life with the knowledge that I created that. I’m able to love myself even more now because I’m not resisting or judging anything that happens but instead recognizing right where I’m at and how amazing that truly is. My friends and work colleagues say I have an uncanny ability to concentrate. So, I sit and wonder what that really means? In the past I would have linked that to self-discipline and self control. Today, I link concentration to bringing myself to a common center and putting my attention, intention and emotion to what I want and who I am becoming in this world. My concentration is more linked to a higher power or guidance system, rather than self-discipline. Just for an hour…this next hour I determine what I want to think about. I hold onto it, letting my mind and heart concentrate from my core, moving along my path of higher consciousness. I relax my body because this is now only a mental and emotional exercise, which quickly becomes part of my soul. I am in a state of harmony. I vow NOT to walk downstairs and practice any type of fear, self-doubt, anger, gossip, or disappointment today…because I know that then, I will introduce disharmony into my state of being. My subconscious mind will become confused and my day will take on an increasingly muddled state. My desire is that my prayers, thoughts, words, and deeds reinforce one another because the effect in my day will be glorious and powerful. Where they are not in accord, they will cancel out, leaving me where I started, or even worse off. I start to lose it a little. I instantly sense frustration because I didn’t (can’t) hold onto the harmonious state I achieved in that hour of concentration, meditation and prayer. It’s ok. I am human. I am reminded that spiritual growth is not a steady upward line. I accept that I will not have a path of unbroken progress in the attainment of happiness and fulfillment every day. It’s ok to move steadily for awhile and then have a setback. I stop beating myself up. I forgive myself and know that I will learn from the setback. I realize that my setbacks are not important as long as the general movement and desire for fulfillment of my life purpose is forward. “Keep on, keepin’ on” comes into my head. I smile. The Divine is always leading me in the most perfect of ways. What are your big stressors? Time - it's the top complaint I hear from stressed women! Relationships - women orient their lives to relationships, of course this is big stuff for us! Love and the desire for good loving - who doesn't want this if we don't have it? When I surrender to my need for self-care, I replenish my energy to give easily and freely. 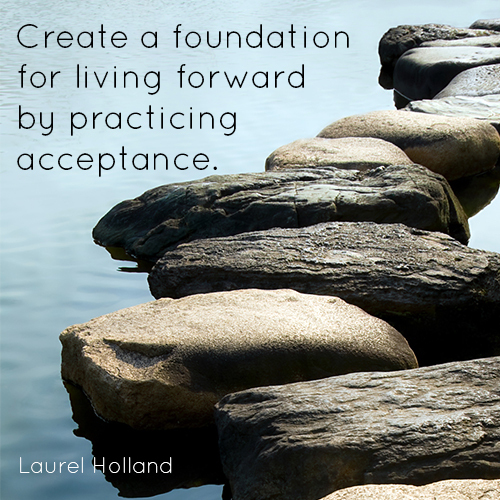 When I surrender to the truth of the moment, I gain the wisdom of acceptance. When I surrender to a difficult relationship, I position myself to come into the power of what I really want. When I surrender to the 24 hours in each day, I master the art of using time wisely. When I surrender to the desire for love, I organize my life to receive and attract love. When I surrender to my heart, I embody my greatest wisdom. If you are struggling with anxiety, stress or fatigue, my guess is that mastering the art of surrendering could become your great healing agent. If you looking for relief from anxiety, stress or fatigue, I am here to help you live your inner power and find that relief. Stop right there! Do you want to rescue the people around you from discomfort and stress? Read this first! Discomfort can be a way the body registers stress and the need to grow and change. It can signal the need to act differently. It can be the call to change or connect with the changes going on around us. It can be a plea to listen and pay attention more carefully. It can herald new beginnings. As a mother, a woman, a friend and a daughter, the most difficult times for me to let discomfort be a servant, is when my discomfort is signaling a loved one's discomfort. My immediate reaction is to help, to make it better, to make the pain go away for them. I have learned to no longer react to this instant inner response. My path to changing this pattern and creating a new way of interacting first took hold when I practiced the agreement "No Advice Giving" at our women's center. No advice giving embodies the belief that each of us holds our own best wisdom and advice internally, that we are brilliant - inherently smart enough to know what we need. We simply need a space to connect to that inner wise one. We can learn to provide that space for others. It's a different way of supporting that releases the knee jerk reaction of rescuing. Being a sacred space holder for another is a high act of service and wisdom. It requires doing your own work so you can get out of another's way of growing well. It requires adopting new beliefs about what really helps others when they are stressed and in need. It means you become skillful at sitting with discomfort yourself and wondering about it before instantly making it go away or distracting yourself from it. All this helps you return to the childlike curiosity of a fresh mind. It's quite liberating when you experience "being a sacred space holder". The next time you have the urge to rescue another, take a breath. Notice the urge. Don't act on it. Begin to wonder, what does this person want? How might their discomfort serve them if I can hold space for them and encourage them to explore their discomfort more deeply? What in me needs support or growth so that I no longer "need" to rescue? 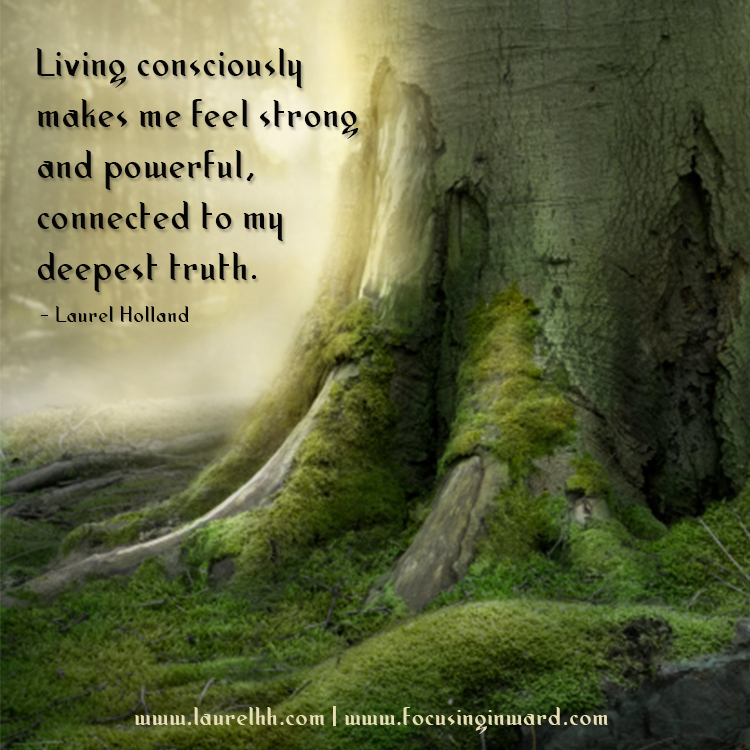 If this posting speaks to your heart, take a look at my newly released book, Courageous Woman, Live Your Inner Power. The book is a full dive into new ways of considering how to connect with yourself and the world around you, a way to grow your capacity to be fully present to life, live powerfully and feel good! What if my Ego was also my mediator between me and my Divinity? What if my Ego wasn’t all bad? What if my Ego was my friend and my ally? For 15 years, I essentially (and unknowingly) gave it up for Divinity. Sounds strange, but I gave up my Ego to save my soul. So, at 57 years old I began to ask what does my Ego look like? What does its voice sound like? Is it manic? Sinister? Kind? Smart? What would it (essentially me?) look like if it were illuminated? I threw my “black and white” glasses down and began to look at myself with clearer eyes, new clarity and awareness. I stared and stared at the mirror. Literally. I looked hard and wondered who it was. Blankly the image stared back. I stared harder, and longer, and more longingly to embrace a new view of this person. It wasn’t long that I realized a lot about my Ego. Sure, it can be negative. I see why it gets a bad rap. The Ego gives me the urge to inflate, to assert, dominate, interrupt, compare, manipulate, insult, lack curiosity...I could go on. But, after observing “me” with this new clarity, I see that my Ego—my thoughts, my mediation of the world around me—is also very kind, caring, energetic, playful, smart, inquisitive, listening, persistent, hard-working…and, yes, I could go on. Why would I give that up? Why not embrace and own that part of me and my personality and my behavior? Why not simply become more aware of when my Ego runs amok and those times that my Ego behaves out of alignment with my Source? Why not just sit with a feeling of simplicity and the grace of being myself in those times? Why not watch and “simply be?” I can choose that deliberately– after all, the Ego is my thoughts and mind. If I want to, I can refuse, for example, to make that phone call and gossip. Or refuse to denigrate myself. I can just let it go. My Ego is my vehicle to choose, thoughtfully and deliberately. I now realize that avoiding my Ego; hating my Ego; pushing back my Ego; creating that separation over these last years has not allowed me to fully accept “me.” In fact, I am now convinced that it is only up to the last few weeks that I truly accepted and embraced the full ME! I look again in the mirror, fully without hesitation or questioning. I see the Divine and the Ego. I see the good they can do together. I haven’t fully learned how to tap into “me” yet – my full Ego – but I am now willing to accept and own who I am. I acknowledge the potential raw power. I know that I am unique. I know that I am exceptional. I know that both my Ego and my Divinity are necessary for my wholeness. I need my Ego—my personality, self-image, my projection, my thoughts, my behavior, and my gifts—to express my Divinity, the highest expression of who I am. Getting to know the Divine and all its universal power, love, abundance, and grace over the last 15 years has saved me. But now I step further into enlightenment. I realize I was only halfway there. Today and every day forward, I now fully accept my Ego (me) as my critical tool to shine. It is there for realizing that everything that happens is for the expression of the Divine coming through me. What a wonderful thought to think that my Divine Source is using my Ego to serve its (my) glorification. How wonderful to think that when my Ego is in alignment, it is my trusted ally with which I can move forward in this material world – completely, fully, and with Divine love and grace.